Many factors contribute to a company’s success: continual innovation, a high velocity sales and marketing model, great products, happy customers. But one thing the fastest-growing companies have in common is great people — and great leaders. As a B2B marketing professional, I strive to study what these leaders do that others do not. What are their secrets to success, and how can I apply them to my own business? 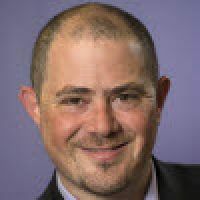 Personally, I’m excited to have the opportunity to work with Paul Albright, Marketo’s new Chief Revenue Officer, since he is one of these leaders. He has spent his career growing revenue at startups and multi-billion dollar enterprises alike, including SuccessFactors, Network Appliance and Informatica. Paul transformed each of these companies into high-growth success stories, so I am eager to learn his secrets for marketing leadership and management success. 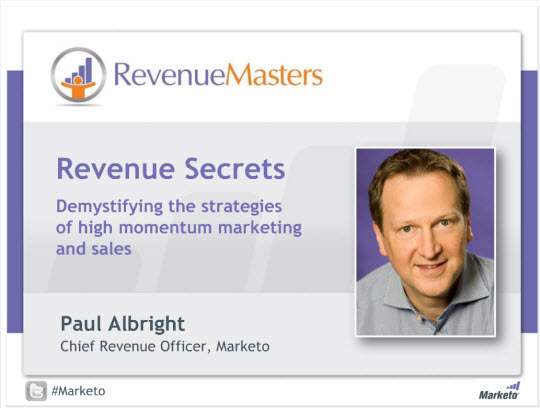 Fortunately, Paul recently shared some of his wisdom in a recent webinar, Demystifying the Strategies of High Momentum Marketing and Sales. Cultivate an execution-driven culture that’s based on facts and results. When math and metrics are your common dialect, your company will be characterized by less drama and fewer emotional decisions. I highly recommend you check the webinar recording, now available on-demand. High-growth businesses will sprint out of the recession, while others will struggle to keep up. According to Paul, the difference between the cream of the crop and those who get creamed lies in developing marketing metrics that matter and delivering a differentiated story and inspirational call to action. Stay tuned for my next few blog posts when I examine these ideas in more depth. What are your reactions to this list? How do they sync with the lessons other leaders have passed onto you?